The Department of Family and Community Medicine sponsored Primary Care Update, a one-day conference providing evidence-based advice in a non-commercial setting, will be held March 23, 2019. 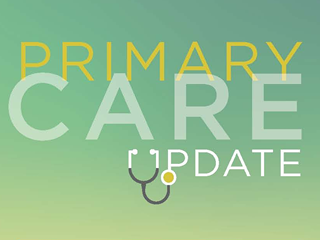 This Live activity, Primary Care Update, with a beginning date of March 23, 2019, has been reviewed and is acceptable for up to 7.00 Prescribed credit(s) by the American Academy of Family Physicians. Physicians should claim only the credit commensurate with the extent of their participation in the activity. 8 – 9 a.m. - Arunima Misra, M.D. 9 – 10 a.m. - Aimee Garcia, M.D. 10:15 – 11:15 a.m. - Sahil Mittal, M.D. 11:15 a.m. – 12:15 p.m. - Maher Karam-Hage, M.D. - Describe newer treatment modalities for tobacco cessation. 1 – 2 p.m. - Judy Levison, M.D. Abnormal Cervical Cytology: What do I do next? 2:15 – 3:15 p.m. - Ida Orengo, M.D. 3:15 – 4:15 p.m. - Savitri Fedson, M.D. - Explain life-sustaining treatment & underlying ethics in advance directive documents. - Define the types of advance directives documents under Texas Advance Directives Act. - Identify standards and hierarchy in end-of-life decisions by surrogate decision makers.